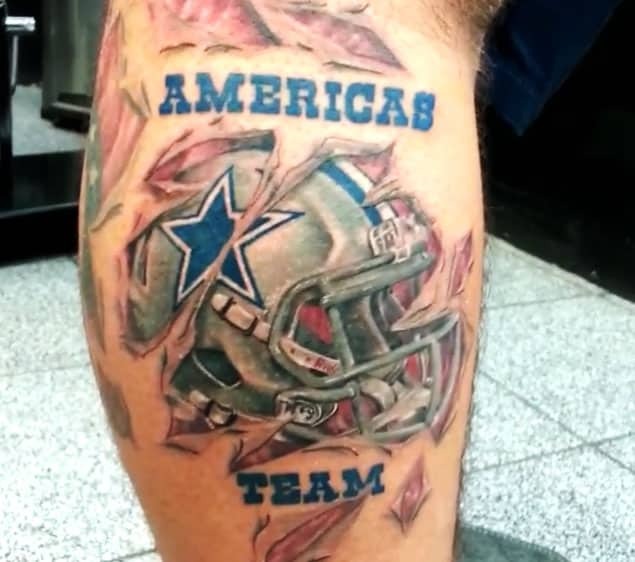 The Dallas Cowboys, also known as “America’s Team” is one of the most successful franchises on and off the field. 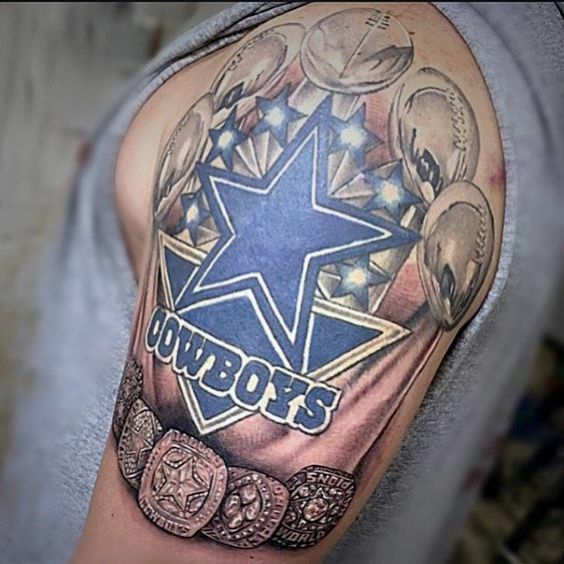 Since its inception in 1960, the football team has taken home five Super Bowl Trophies and has grown to be the most valuable sports franchise in the world. 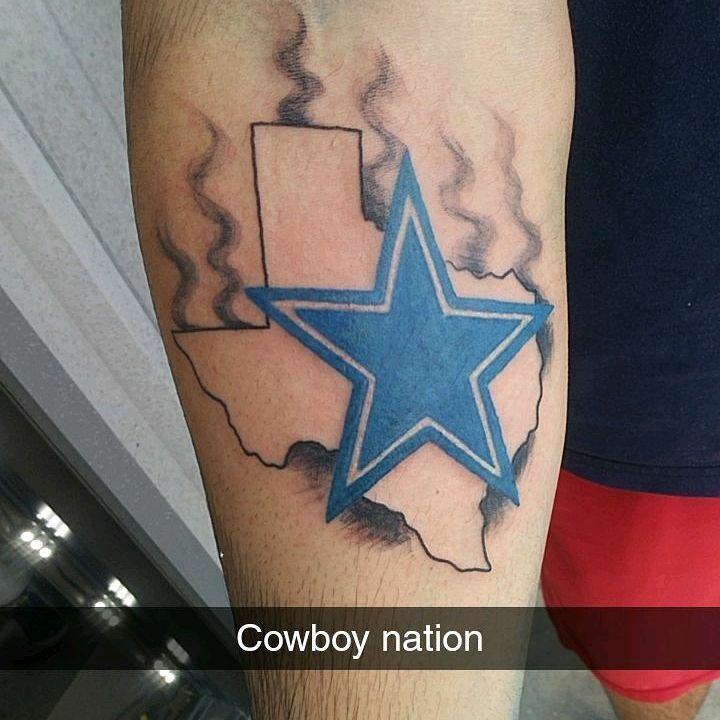 Based on a study conducted by Dr. Mike Lewis of Emory’s Goizueta Business School, Cowboy fans are one of the most loyal bases on the planet. 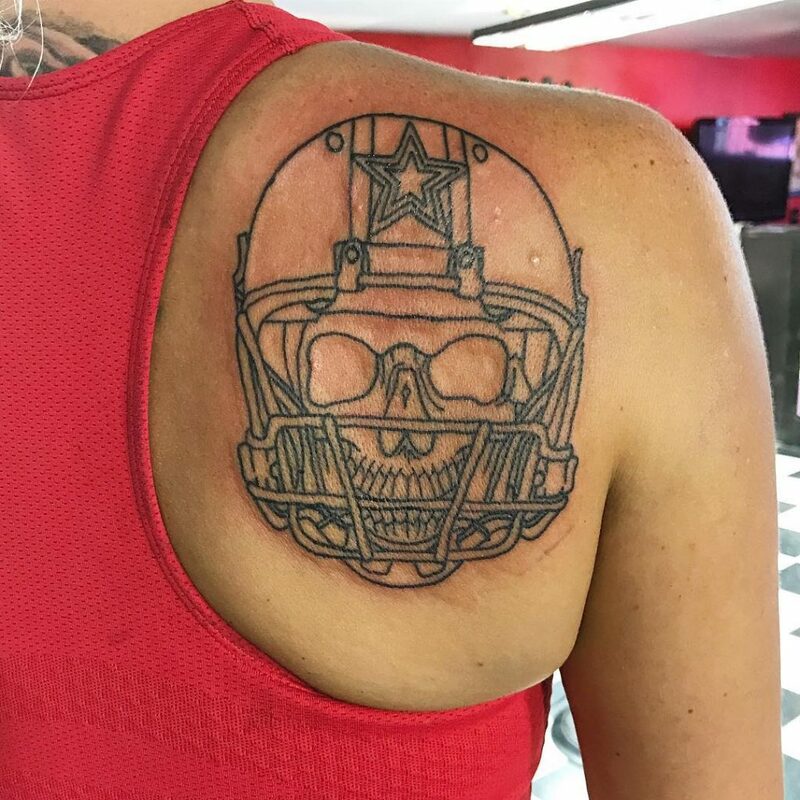 In spite of the long championship drought and the setbacks that the American Team suffered, the avid fans have shown that rough times don’t affect their loyalty at all and continue to hope for more legendary moments in the next decade. 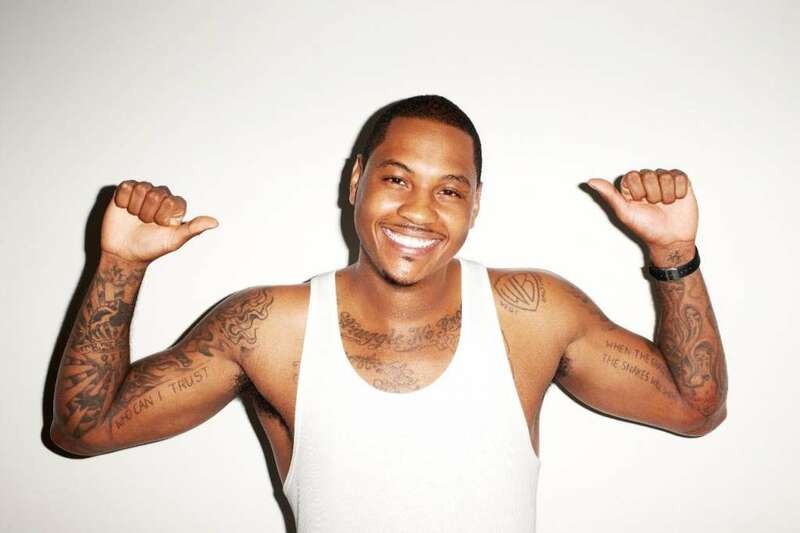 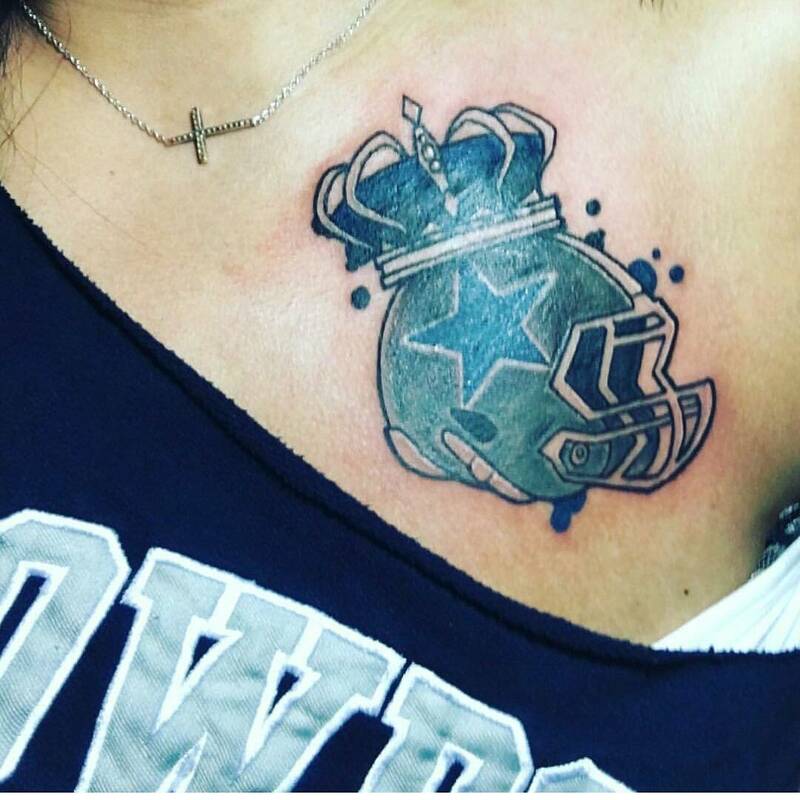 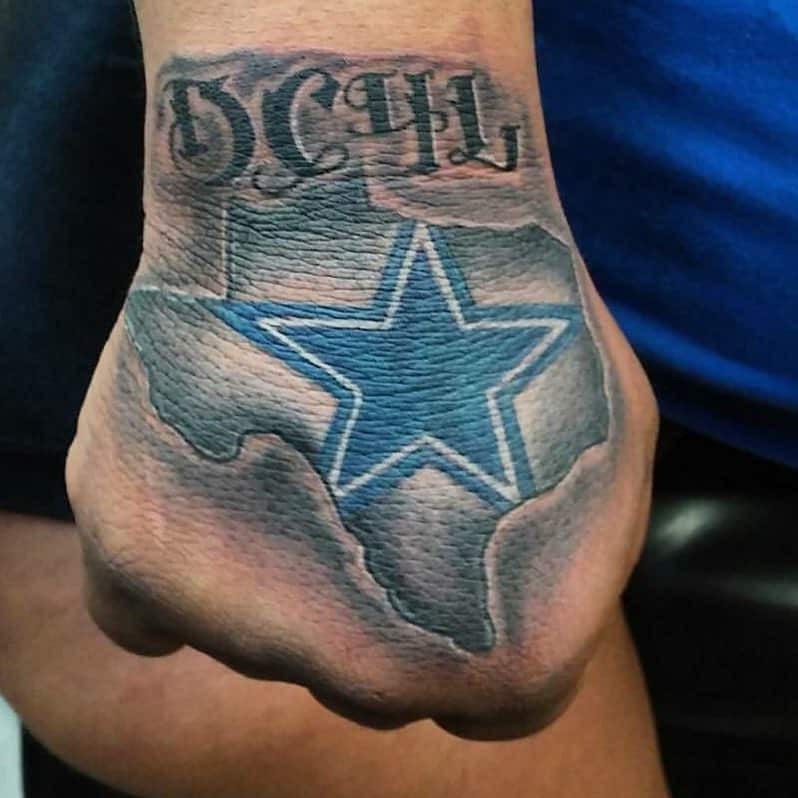 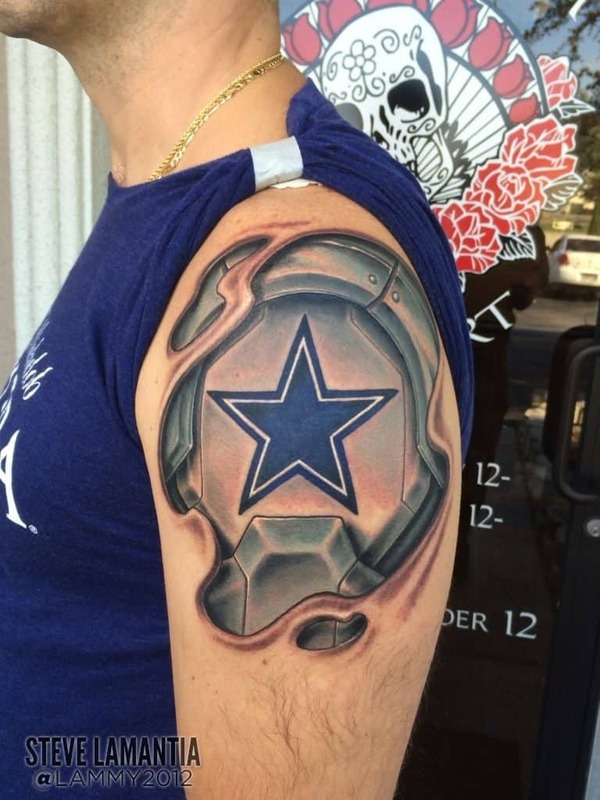 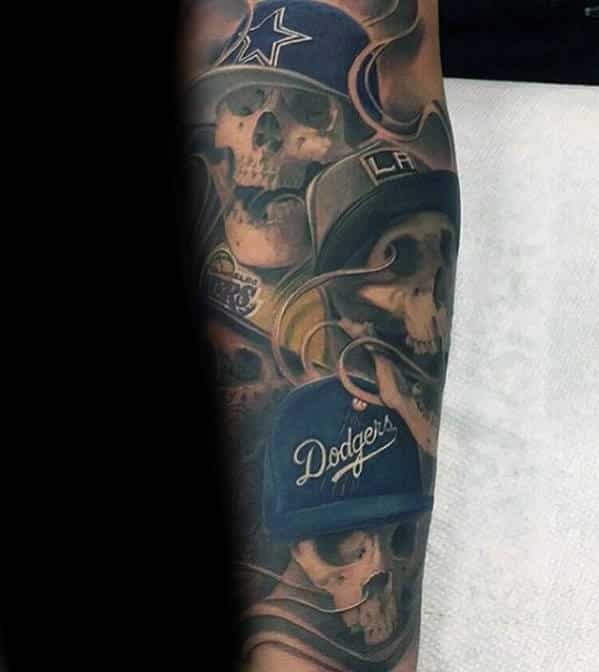 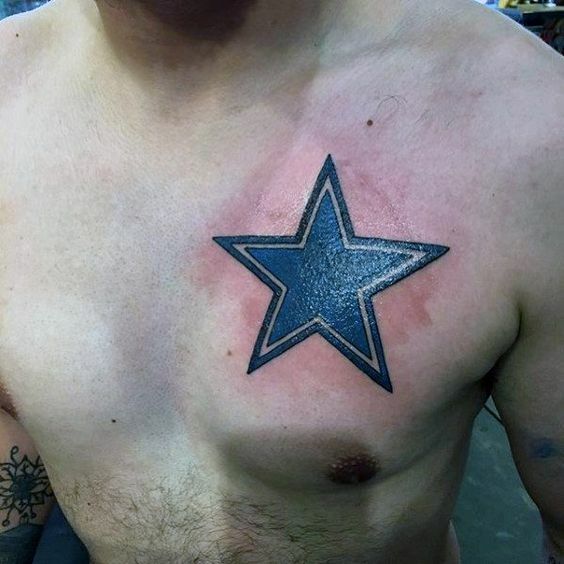 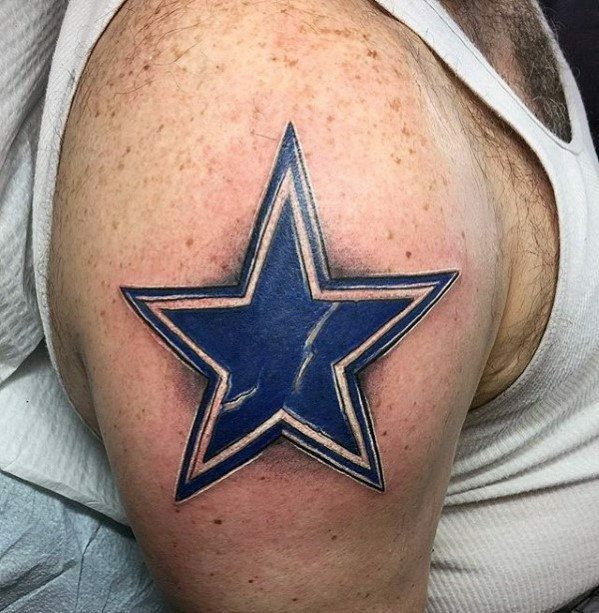 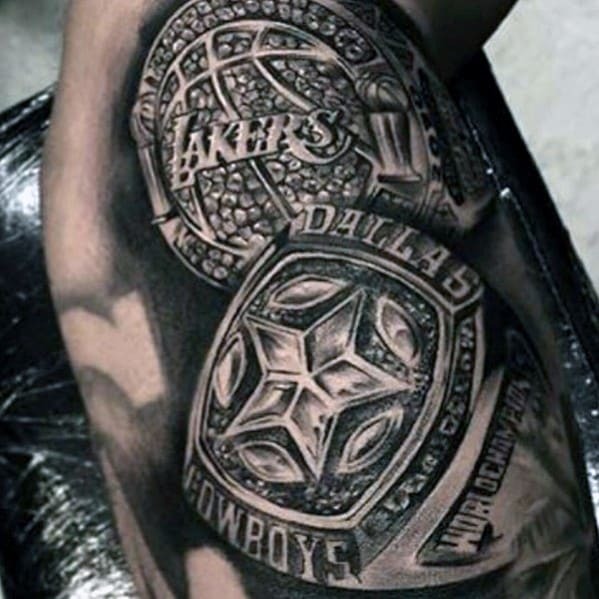 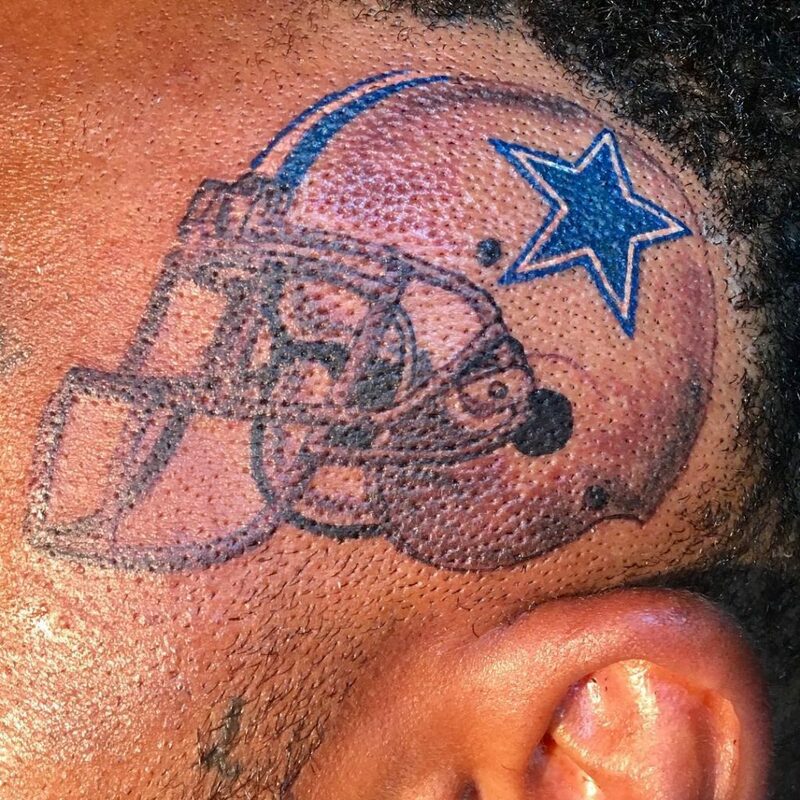 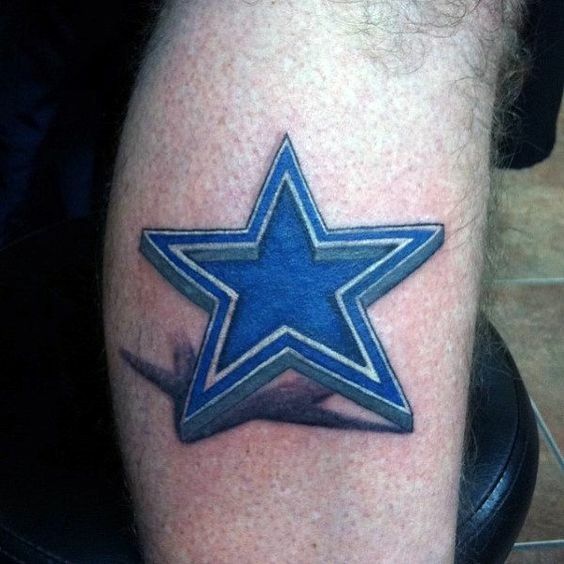 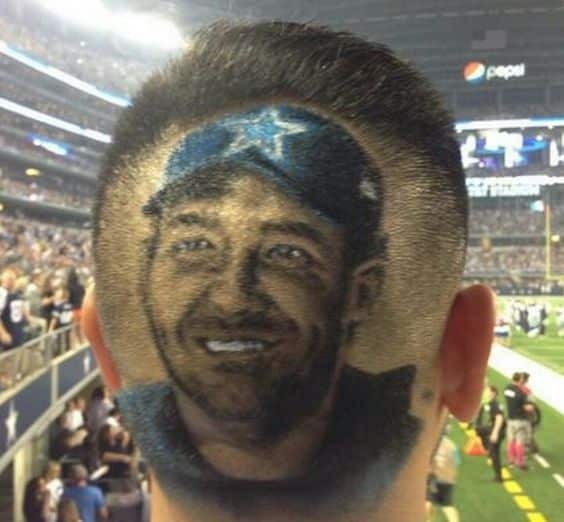 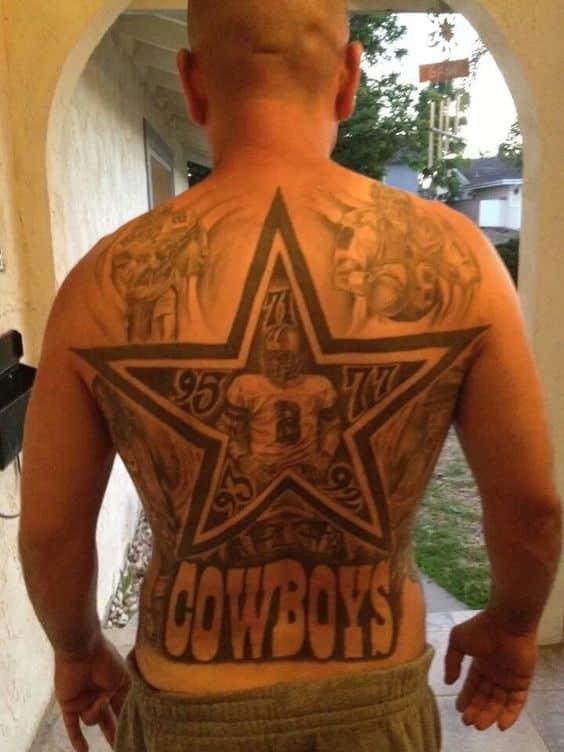 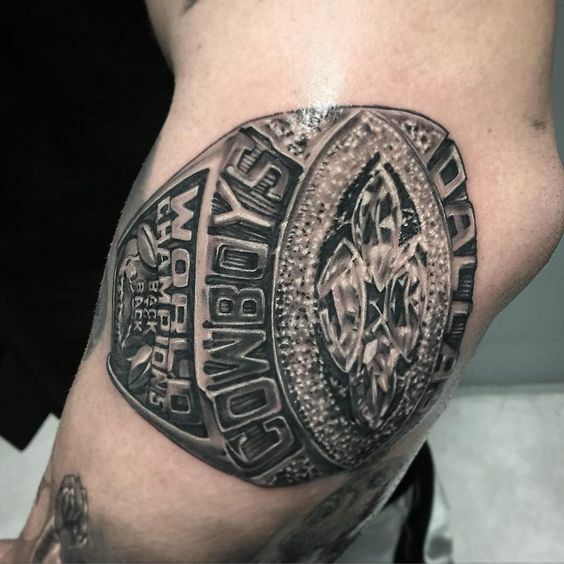 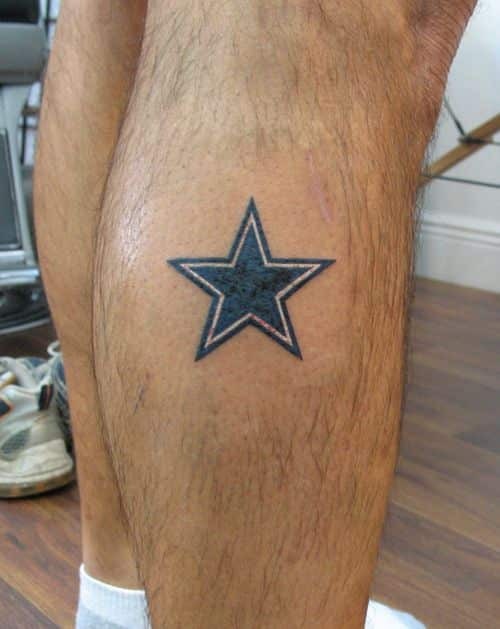 With a list that includes big names from LeBron James to new NBA MVP Russell Westbrook, to celebrities Denzel Washington, Eva Longoria and Demi Lovato to George Bush, Dallas Cowboys fans show their love and support in many ways, one of them is having Dallas Cowboys Tattoos permanently or temporarily inked on their skins, nails, even teeth. 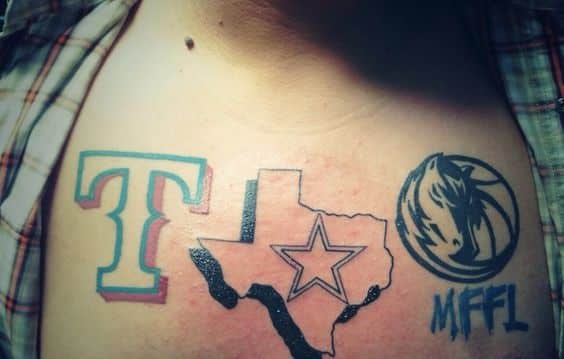 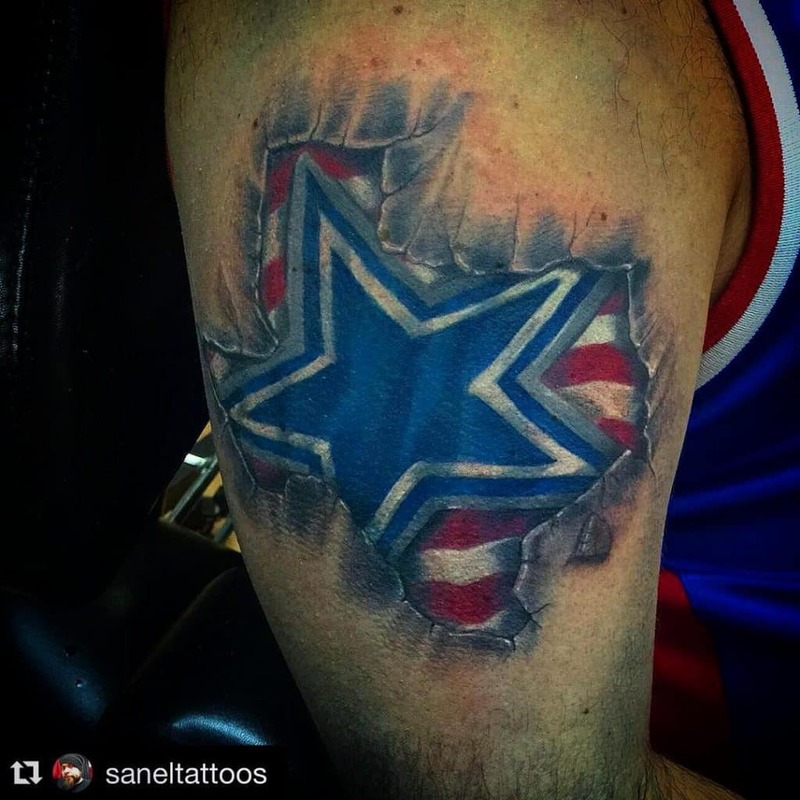 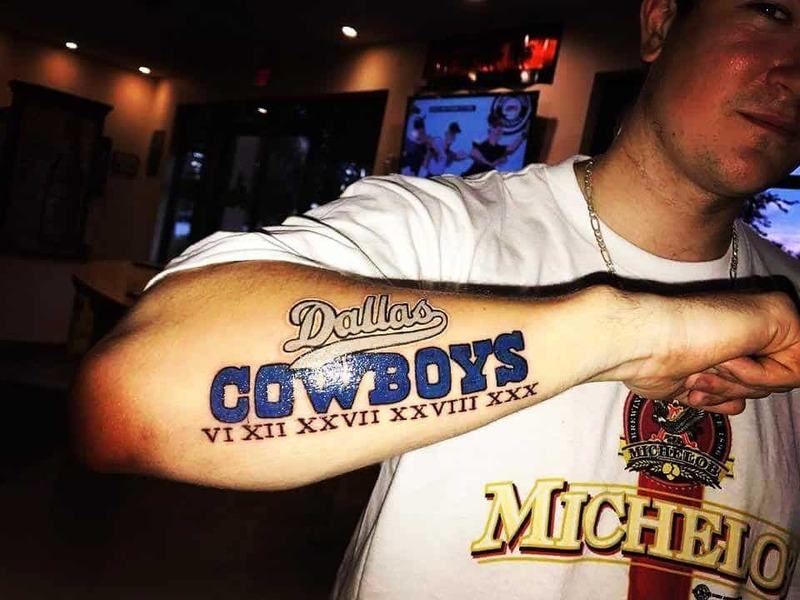 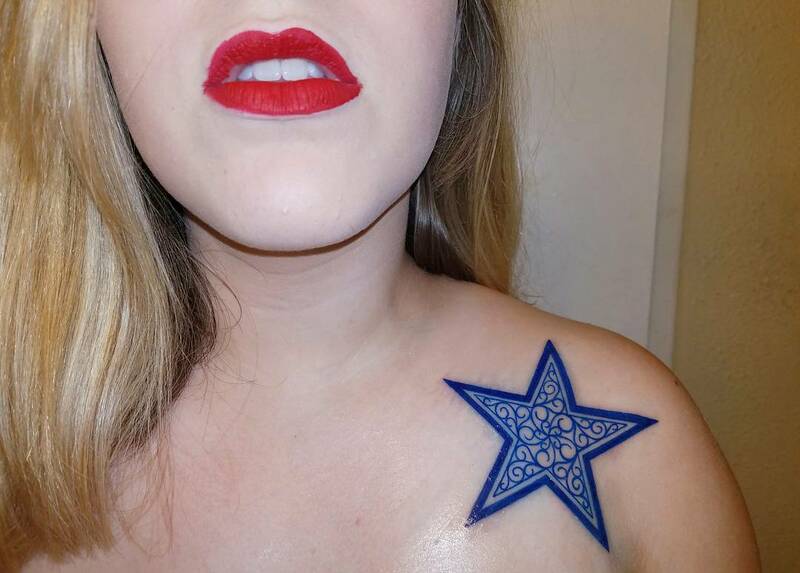 There are endless possibilities of expression, so here we have compiled 55 Cowboy Dallas Tattoos that best express the patriotism and almost religious sentiments of the fans. 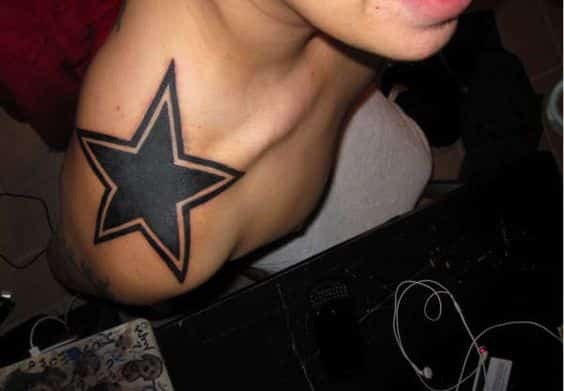 The most recognizable symbol of the Dallas Cowboys is the iconic Dallas Star which is perfect for both men and women. 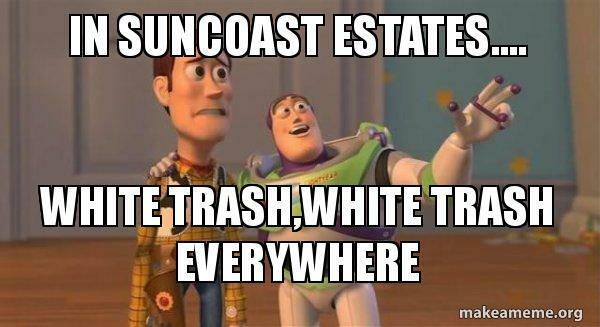 They come in different sizes, design, and colors. 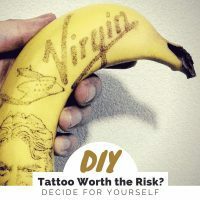 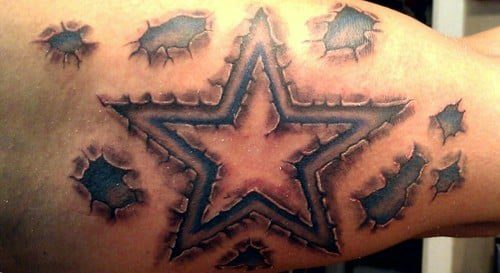 Oftentimes they are incorporated with football gears, a favorite player’s name or number, the winning years, and they are proudly and loudly inked on arms, the chest, the whole back, the head, even on butts! 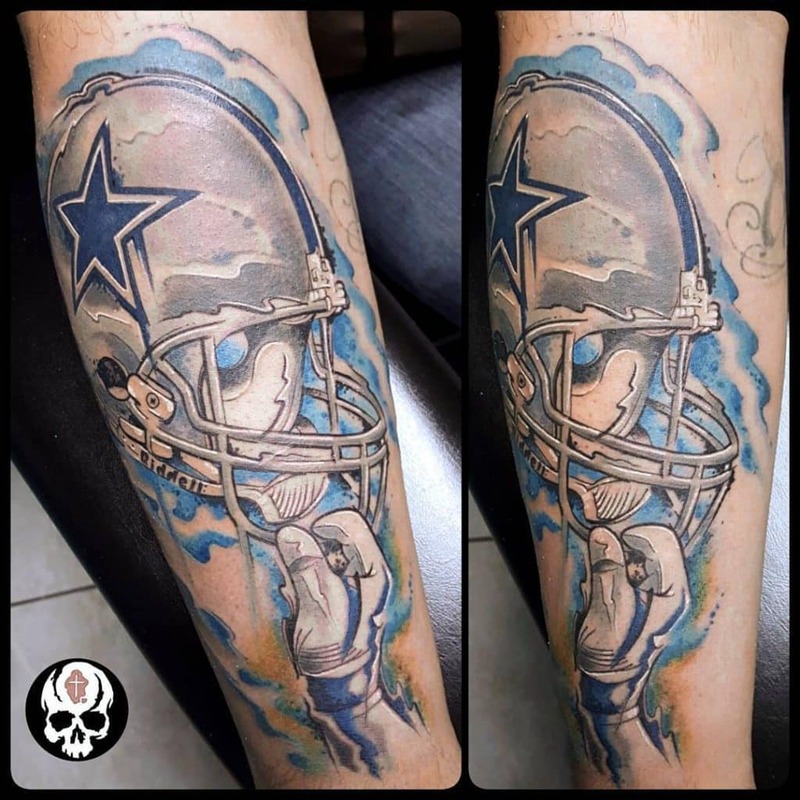 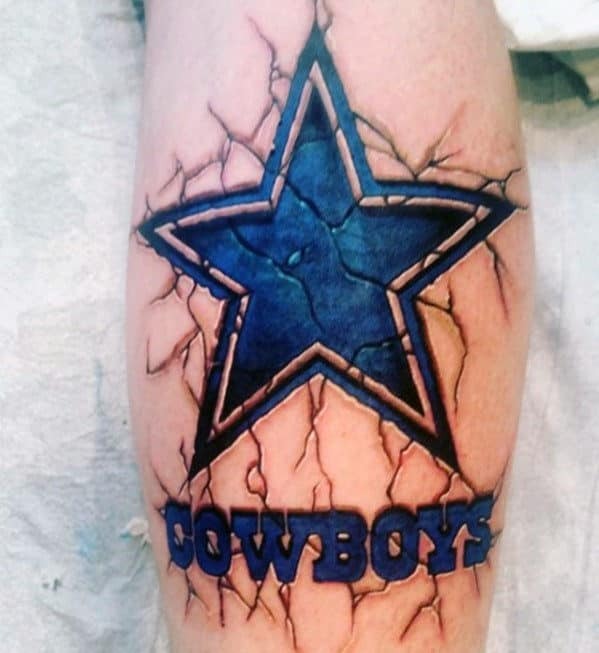 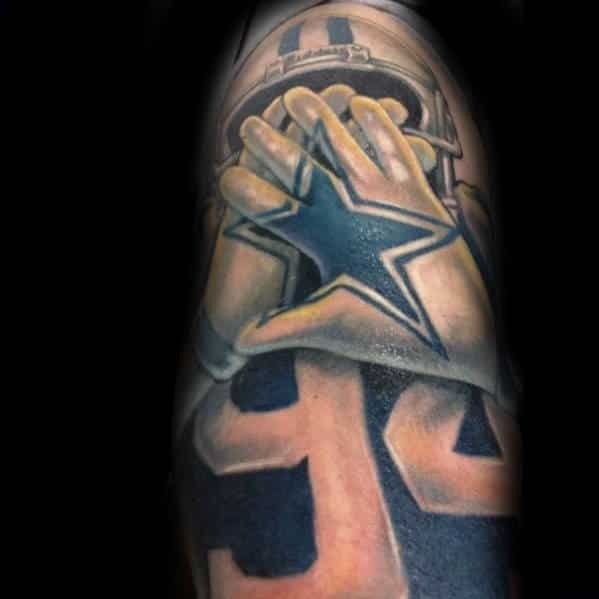 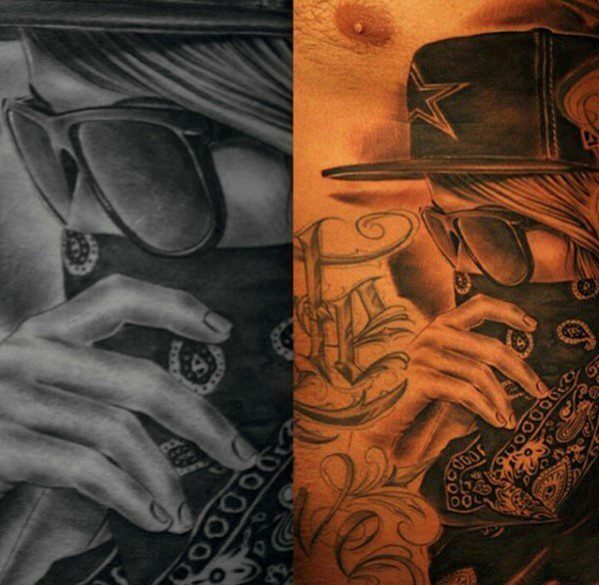 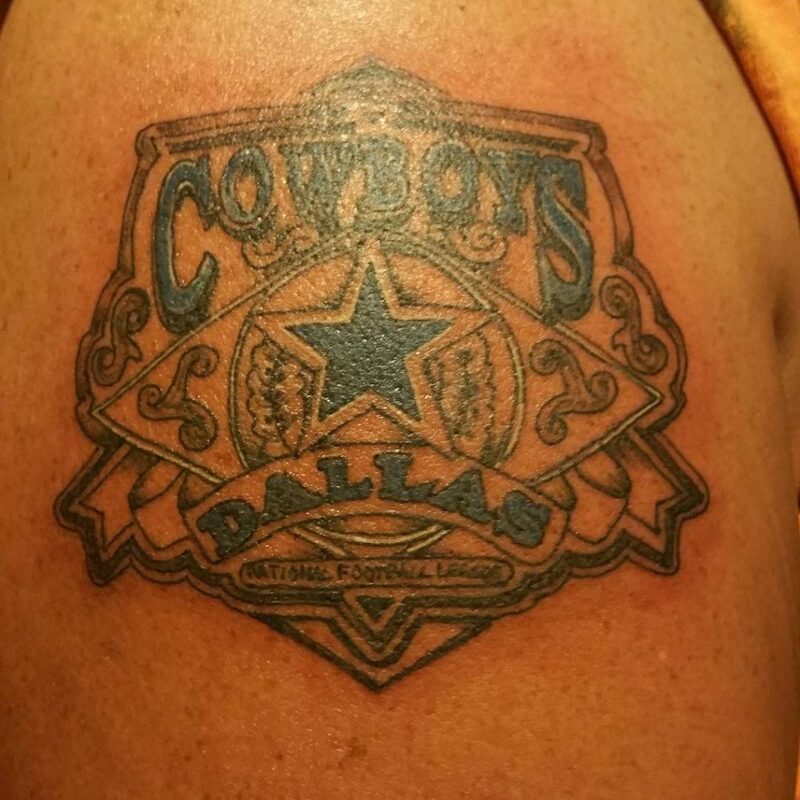 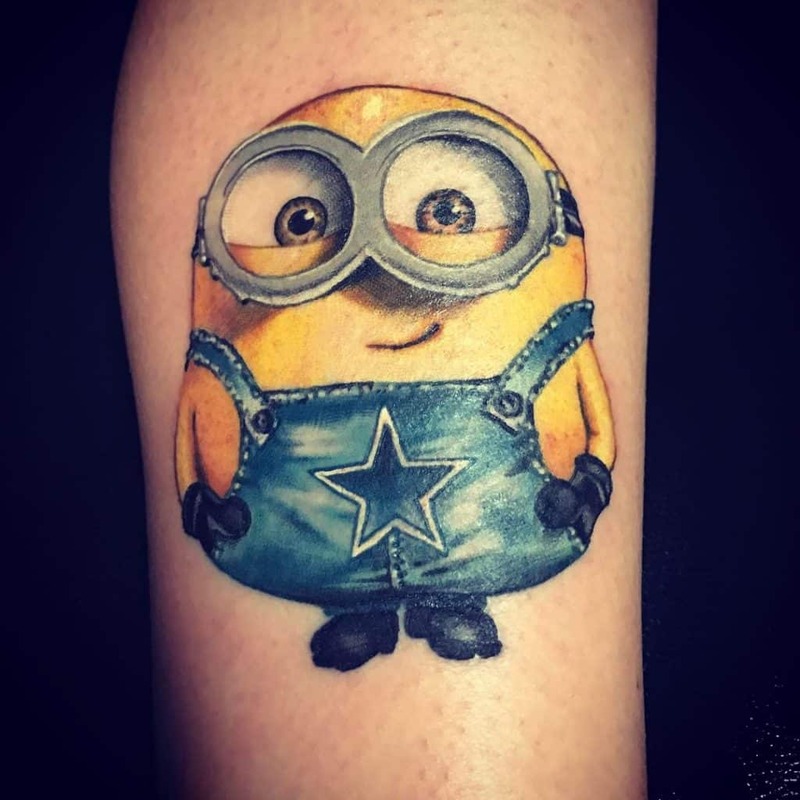 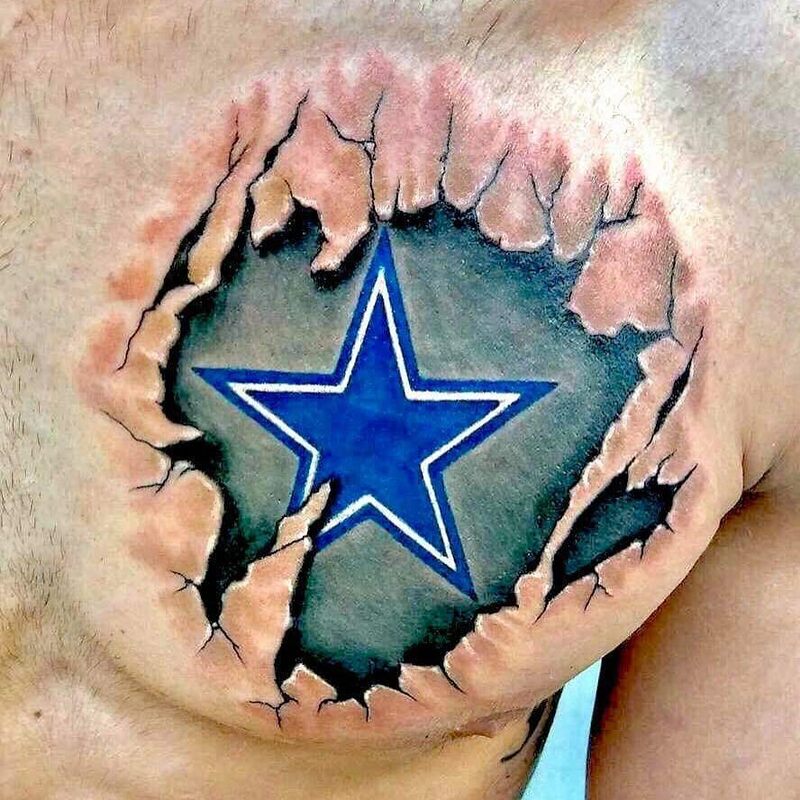 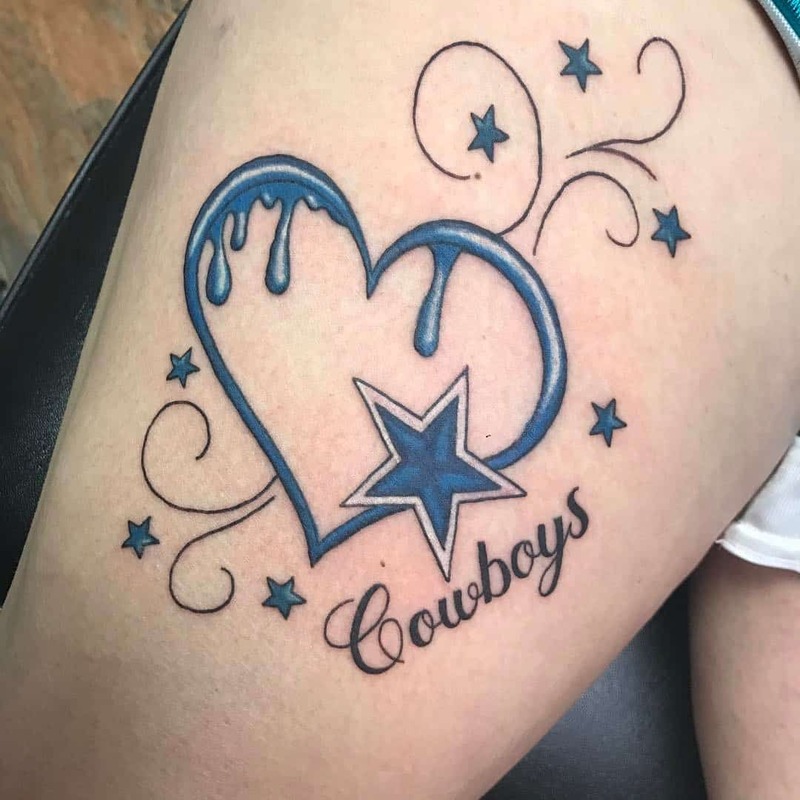 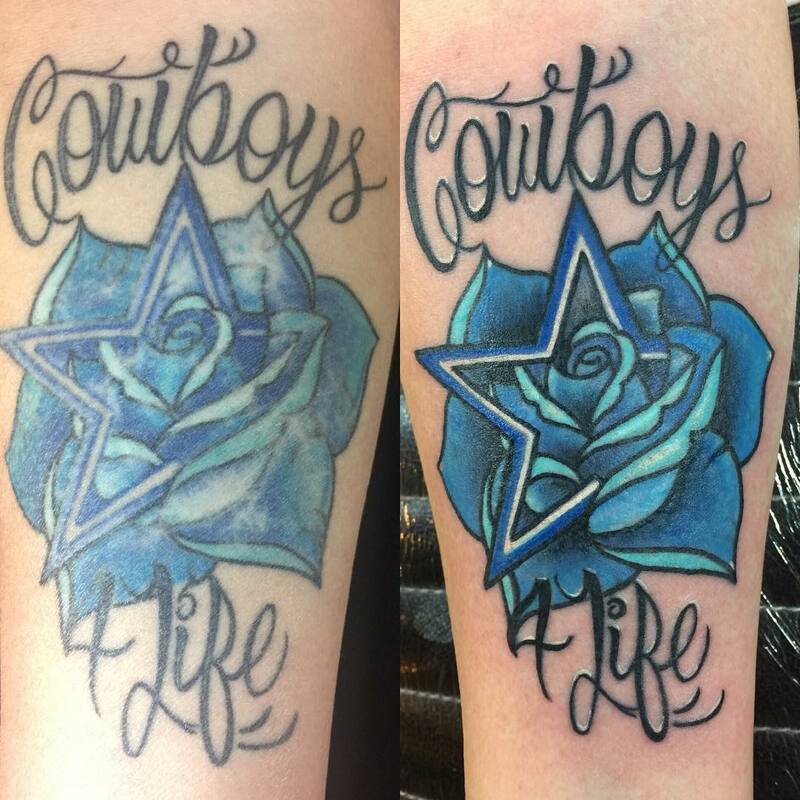 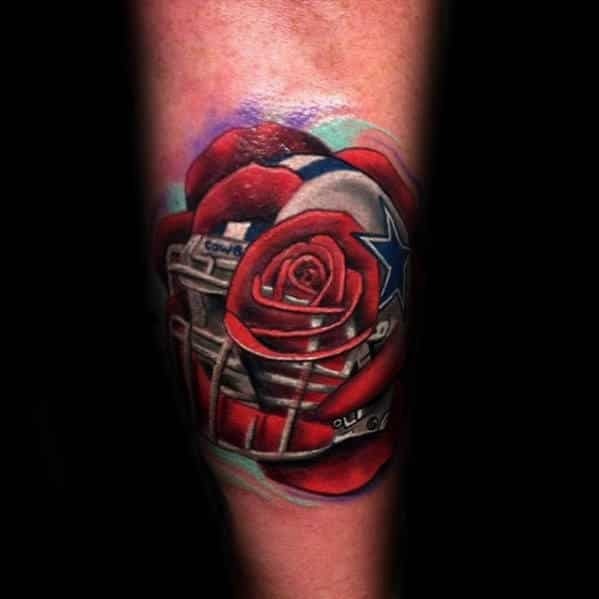 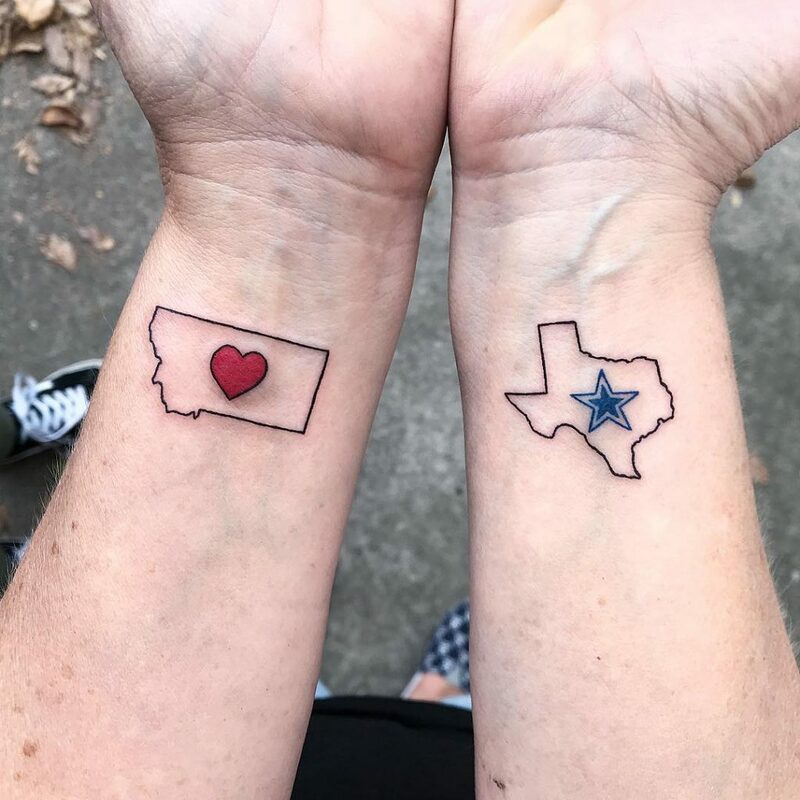 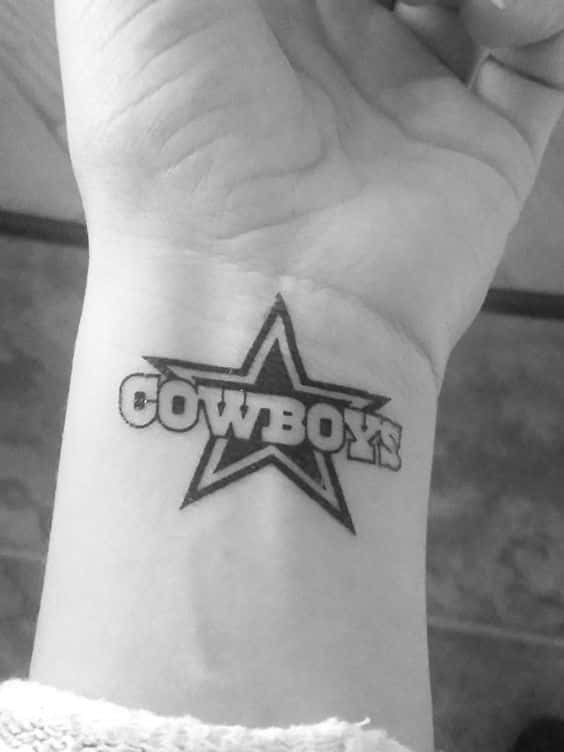 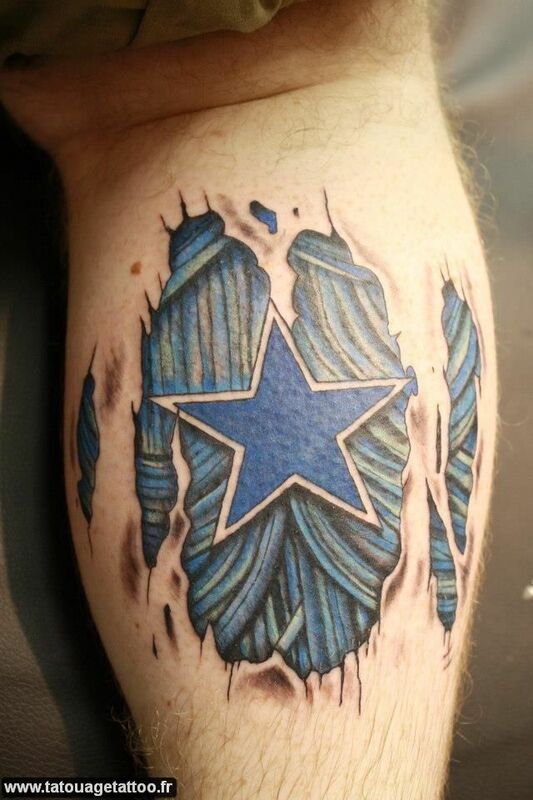 There are endless possibilities of expression, so here we have compiled the Cowboy Dallas Tattoos that best expresses the patriotism and almost religious sentiments of the fans. 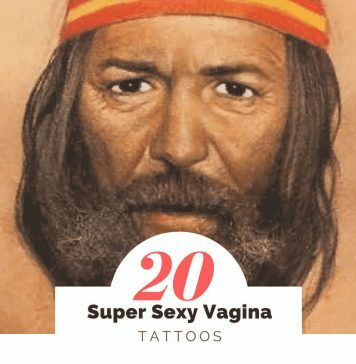 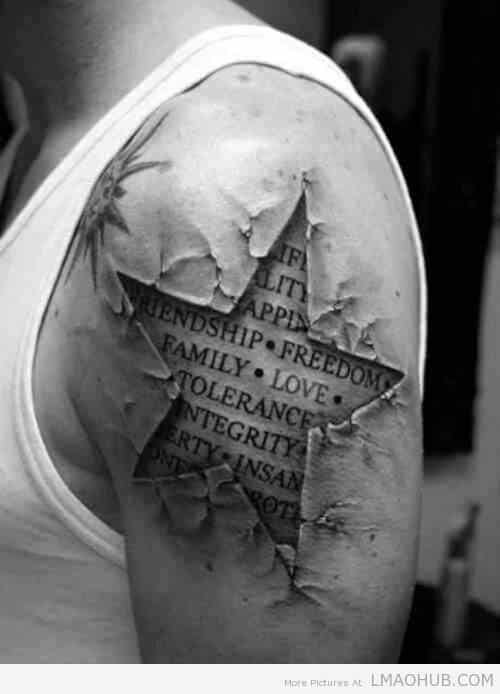 Since 12,000 B.C., tattooing has served different purposes in varied cultures – be it ceremonial, traditional, ritualistic or religious, they can be marks of ownership, status symbols, membership in a secret society, coming of age, and many more. 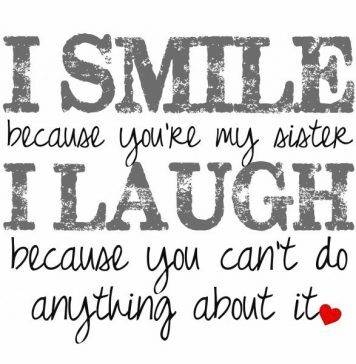 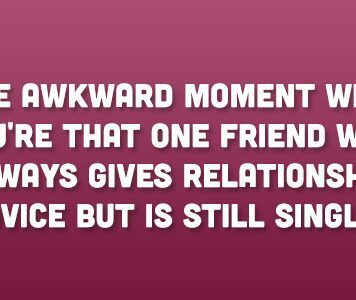 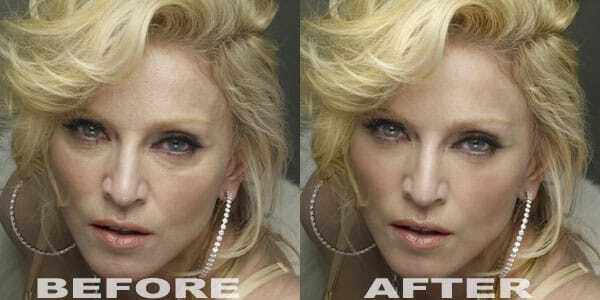 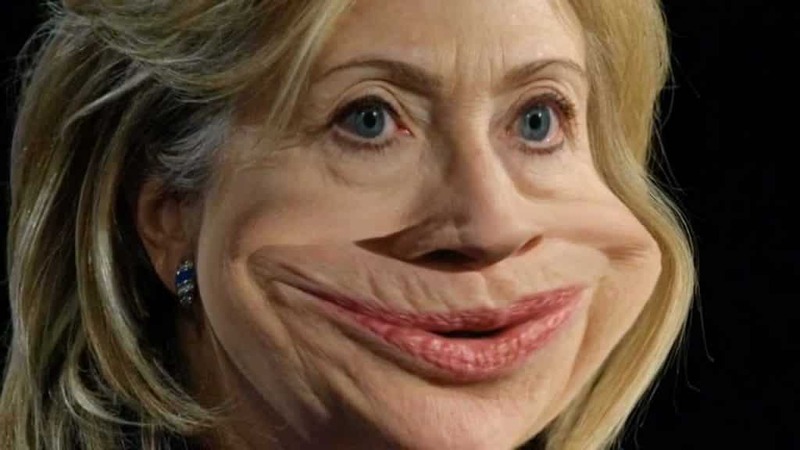 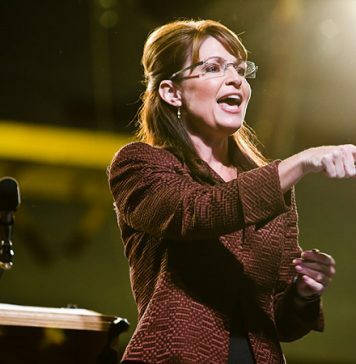 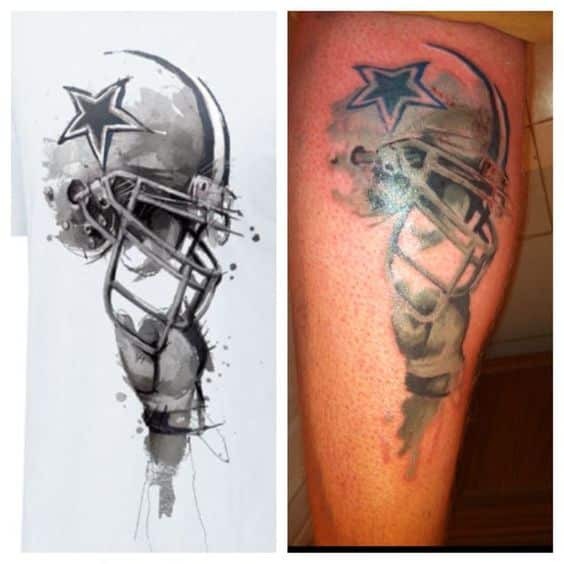 It was previously believed that the wearer of an image calls the spirit of that image. 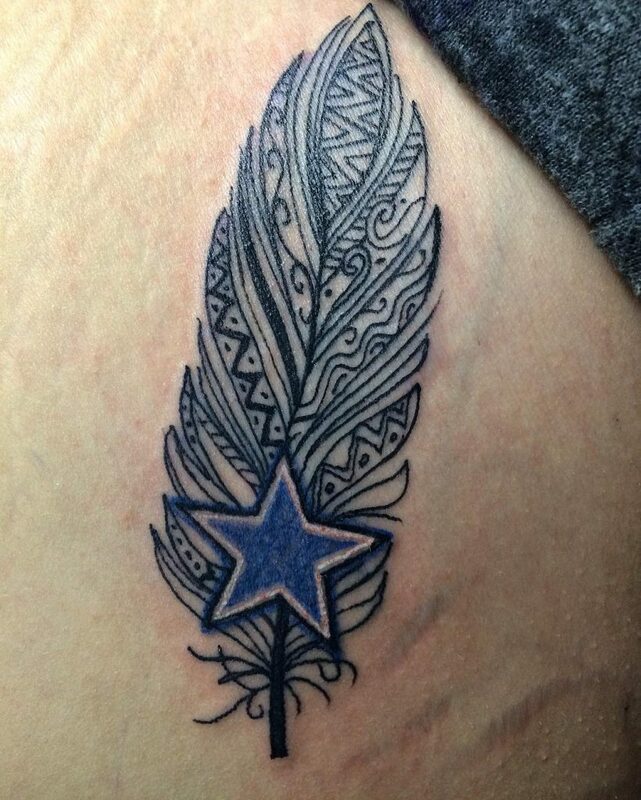 Thus the one with a tiger tattoo is presumed to have the ferocity of a tiger, or the one with That tradition holds true eagle mark, the strength, and power of an eagle. 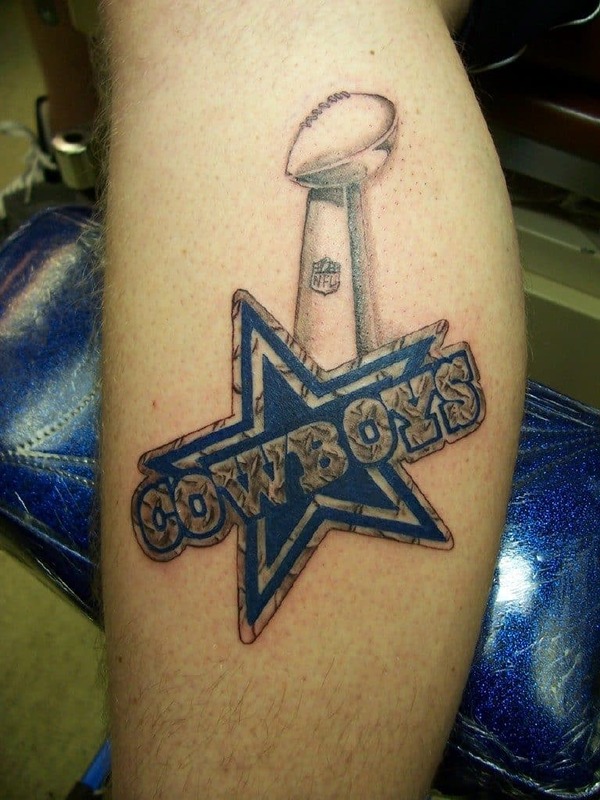 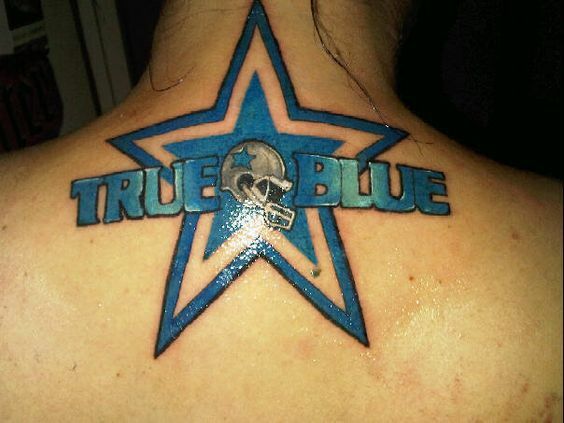 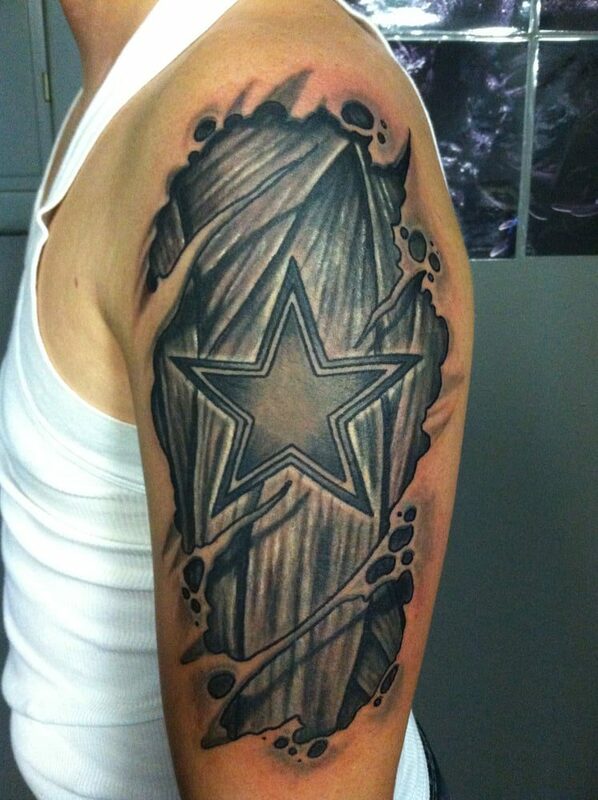 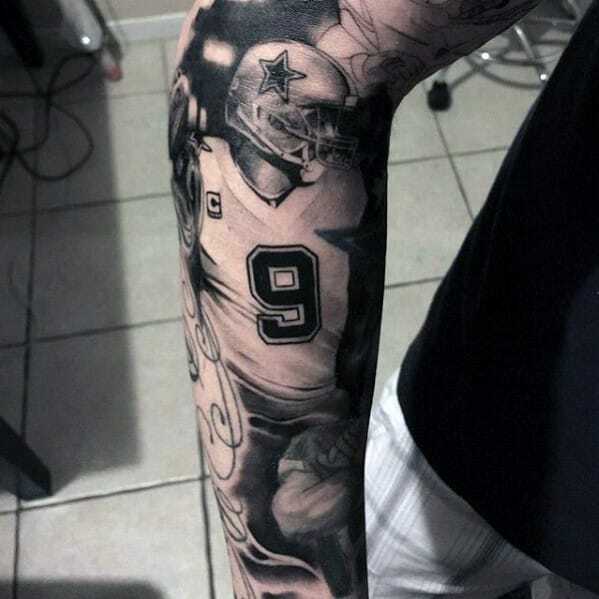 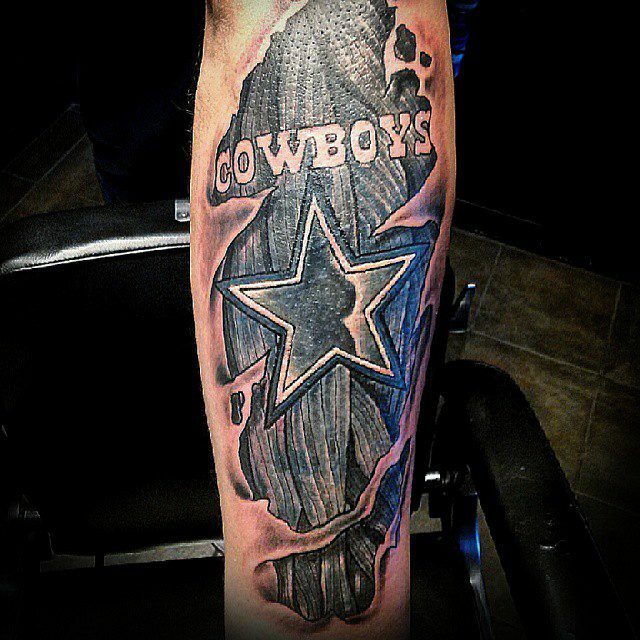 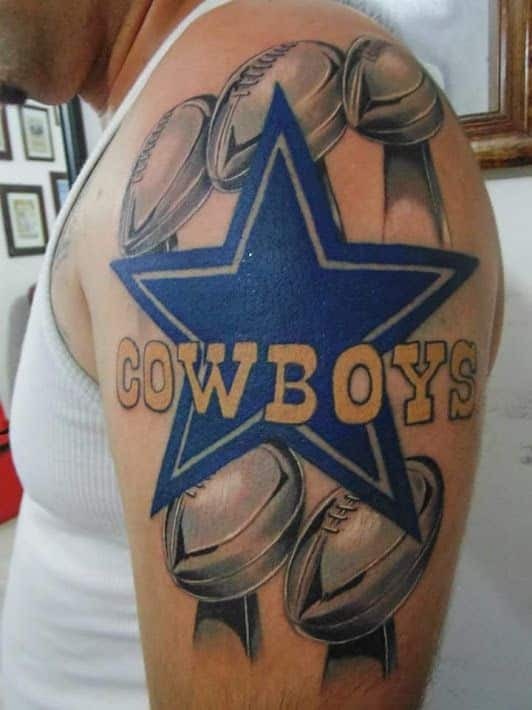 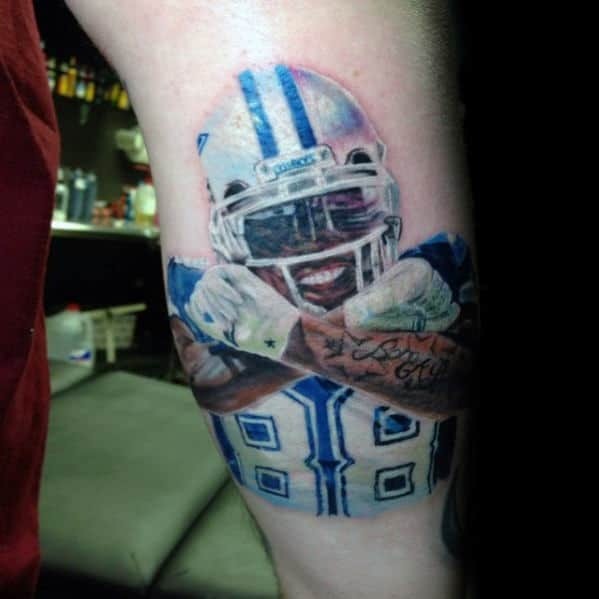 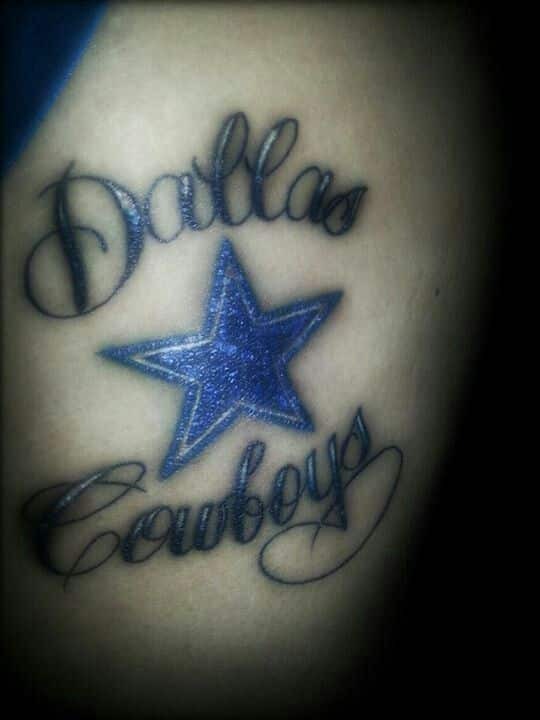 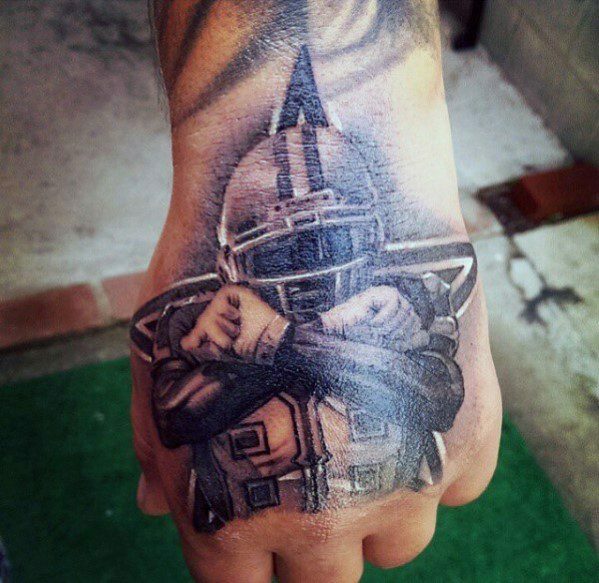 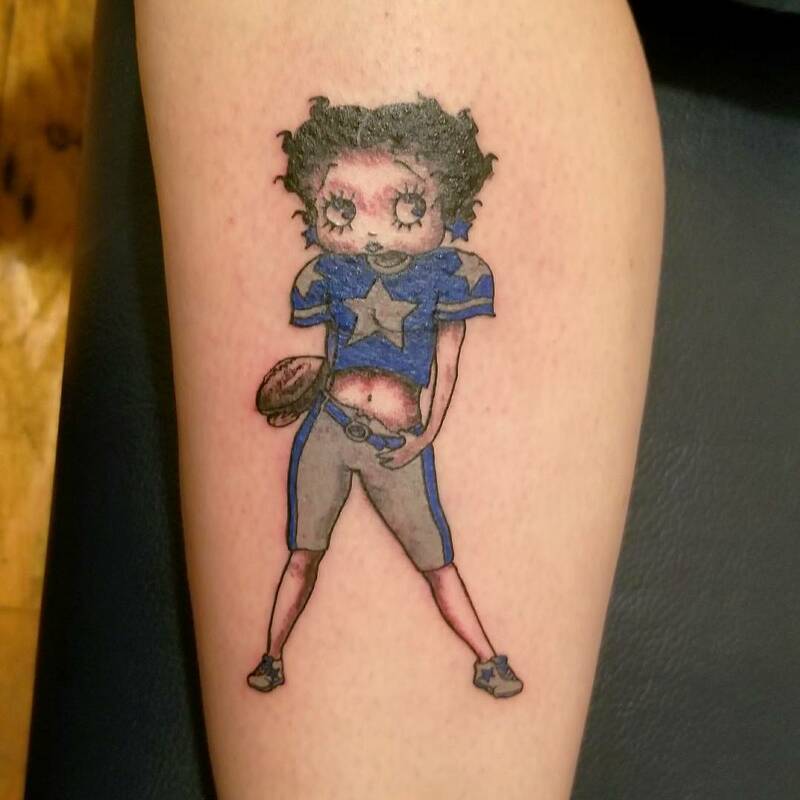 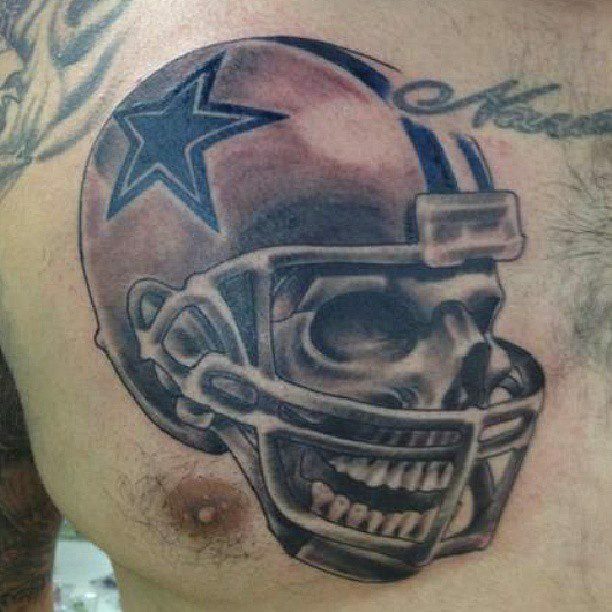 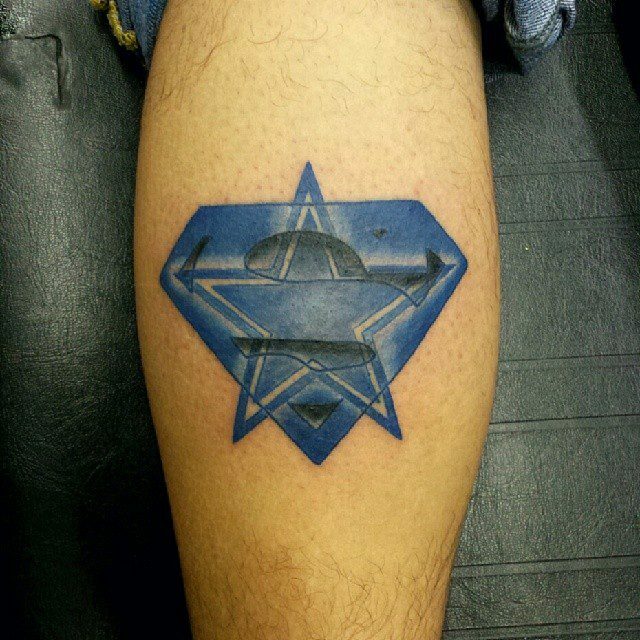 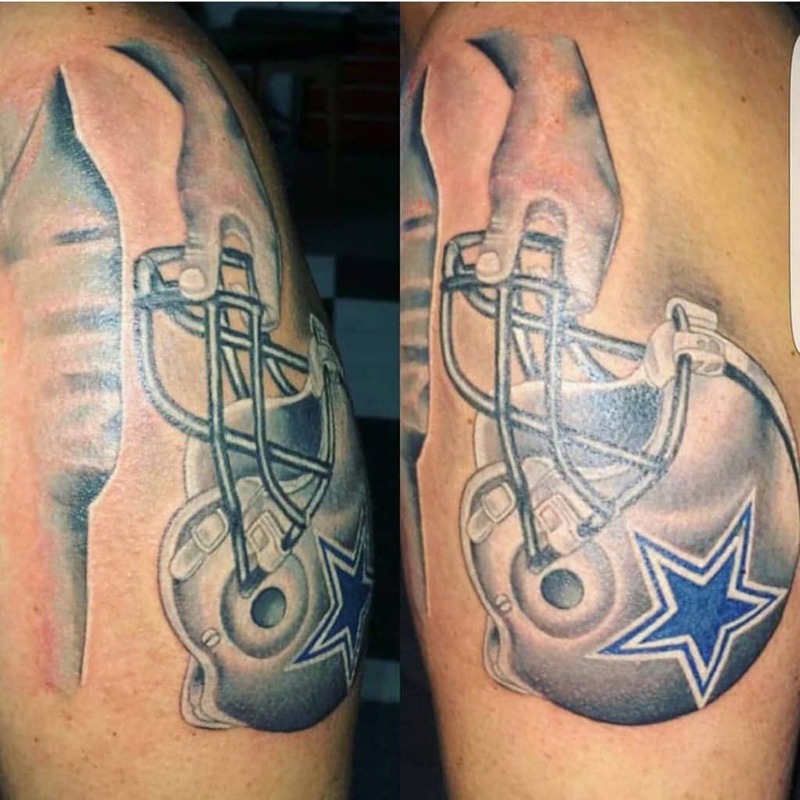 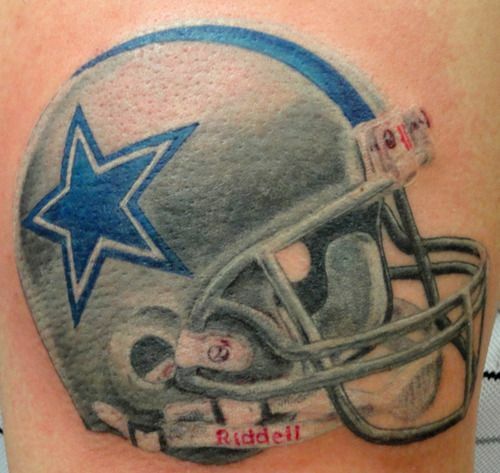 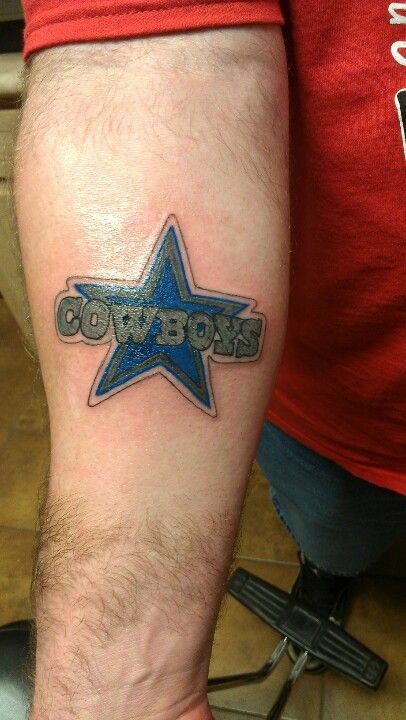 Dallas Cowboys fans take tattooing to a new level. 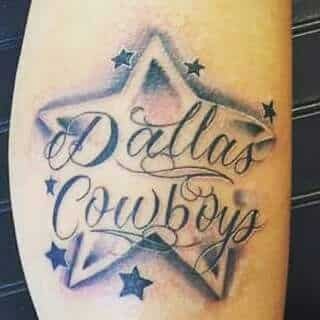 It is an expression of their loyalty, love, devotion, and affection to this legendary football team.